The LeoVegas casino is one of the highest rated online casinos, and it consistently wins industry awards for innovation - particularly in mobile gaming. 24 hour customer service, a superb selection of games, live casino tables as well as sportsbook betting makes this a fantastic all-round destination for experienced and new gamblers alike. 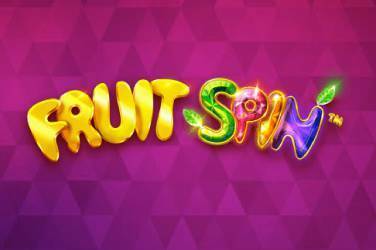 If you’d like to see what all the fuss is about, don’t forget our EXCLUSIVE 30 free spins no deposit welcome bonus - you can’t get it anywhere else. Just sign up for a free player account via any of the links on GamblingInformation.com and LeoVegas will do the rest. We’re very happy to make LeoVegas one of our “top pick” casinos, and we don’t hesitate to recommend it. Hello, my name’s Ed Roberts and I’m a long-time casino fan, semi-pro gambler, and one of the panel of expert reviewers here at GamblingInformation.com. Today we’re taking a look at LeoVegas.com, a casino that’s been around since 2011 and that’s known in the industry for innovation. This was one of the first online casinos to embrace gaming on mobile devices, and they’ve won industry awards for their use of pioneering technology that allows people to play their favourite casino games on the go. They’ve recently won another award for the quality of their new standalone mobile app, showing that they are still at the cutting edge even after 7 years in business. LeoVegas.com is aimed at the UK market, and they even sponsor 3 UK sports teams: Brentford FC, Leicester Tigers, and Norwich City FC. Because we’re a UK-based review site they’ve also given us an exclusive free bonus offer which we’re able to pass on to our readers, on top of the standard welcome bonuses that we outline below. Based in Malta and licensed by both the Maltese and UK regulators, LeoVegas.com is a smart and slick-looking casino site that offers video slots, table games, live casino play and sportsbook betting. It really is a one-stop-shop for people who like gamble on a site without intrusive gimmicks or complicated and distracting theming. This casino prides itself on offering a lot of games, and despite the quantity, they really do focus on quality, only using games from the most reputable suppliers like NetEnt and Microgaming. 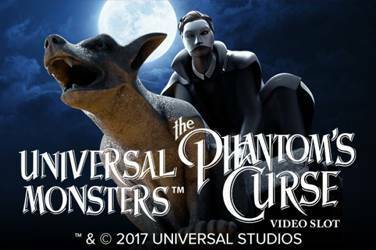 What’s more they keep adding to their lineup regularly, and at time of writing there were almost 100 games that were classed as being new to the site. That’s an impressive commitment to new technology and game franchises. 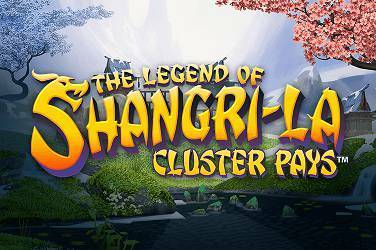 Also available is a small but high quality number of classic slot games, as well as almost 40 games with progressive jackpots, including big-hitters like the Mega Moolah series. For casino game fans there are almost 60 table games to choose from, including versions of Blackjack, Roulette, Hold ‘Em, Baccarat, and more. Again, there’s an obvious commitment to quality here, as all these games are again provided by industry leading developers. For the casual gamer there are also a small collection of “instant win” type games for those just looking for a quick flutter. Despite there only being 16 of these, they are again all of higher quality than usual and it’s nice to see these offered as an alternative option. It’s this wide variety that makes LeoVegas a casino that’s enjoyable to spend your time at, and makes it easy to always find something interesting to play. LeoVegas has one of the biggest online casino offerings of any casino available to the UK market. 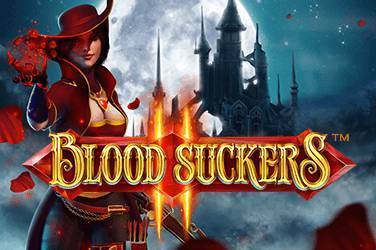 With a huge 55 live casino games available from high-quality providers, there is enough here to keep even the most hard-core casino gambler happy for a long time. Blackjack, roulette and baccarat are all available, and with enough different live versions available that you’ll never have to worry about being stuck on a “cold” table. LeoVegas also operate their own “private room” service for high rollers and VIPS, with exclusive tables for larger stakes gamblers. Many of the games offer HD quality streaming, and the live casino lobby lets you see recent results, numbers of seats available and minimum and maximum bets for each table. This is a really welcome feature and once again shows LeoVegas to be at the forefront of creating a great gaming experience. It’s in the mobile realm where LeoVegas really shines. Consistently award-winning since 2013 for their mobile gambling innovations, LeoVegas on mobile is a seamless and enjoyable experience. As well as a fully mobile optimised browser experience, they also have a dedicated LeoVegas mobile app – winner of the 2017 EGR Innovation Award. Available for iOS and android, the LeoVegas app offers a set of over 600 games to play, with advanced features like fingerprint sign in. This app gives you the complete LeoVegas experience, with access to all the table and casino games and slots, as well as the full live casino and the sportsbook, all from your tablet or phone. This really is one of the best mobile gaming experiences we’ve ever had, and LeoVegas must be applauded for finally giving people a mobile experience that’s just as good (if not better) than the desktop casino. 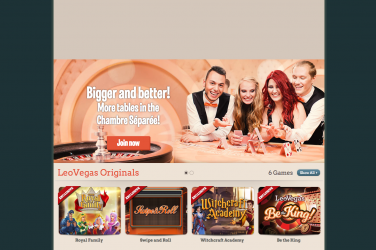 As I mentioned earlier, we were so impressed with the LeoVegas casino that we approached them after we’d thoroughly reviewed their site to see if they would like to offer our readers an exclusive LeoVegas welcome bonus. I’m thrilled to say that they readily agreed, saying that they fully stand by their quality and customer service standards. 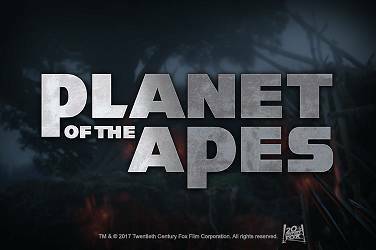 We are therefore able to offer you an EXCLUSIVE 30 free spins no deposit bonus in addition to their standard welcome offer. 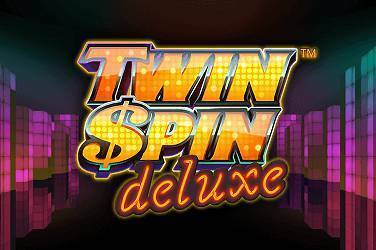 Register a free player account via GamblingInformation.com and you will receive 30 free spins. That’s an additional 10 spins above the standard offer just for GmablingInformation.com readers. 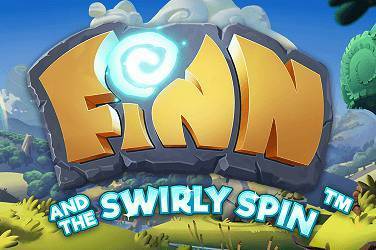 The 30 free spins are credited to your account as soon as the registration process is completed. This is a refreshingly simple process that takes no more than 40 seconds (yes, I timed it). Remember, though, that to get your additional free spins you need to use the LeoVegas links here on GamblingInformation.com. With up to £1,600 of bonus cash and 100 free spins (plus your exclusive 30 for signing up via us) this is one of the larger matching schemes in the industry, and it shows that the LeoVegas casino really do believe in their product. There is a clearly stated play through requirement of 35 times before you can withdraw bonus winnings. In our opinion, customer support is one of the key aspects we take into account when researching which casinos to recommend. No matter how good the games or offers are, if you can’t get help when you need it, registration is complex, or it’s difficult to get your winnings out, we won’t recommend a casino. In the case of LeoVegas we have had an extremely positive experience. Customer support is available 7 days a week, 24 hours a day, which is still rare and means you can always get help, no matter if you’re a lark or a night owl. Contact options are live chat, email and telephone. Live chat was my favourite method – quick, easy and no fuss. I found the staff to be friendly and very knowledgeable, and I found an agent was available within a couple of minutes of me opening the chat window. Email support is a little slower. They promise to deal with your email within 24 hours, but I never had to wait more than 6 for a response. This is well within their promise, but it’s a little slower than some other casinos. This may be a reflection of the popularity of LeoVegas. Telephone support was also available at all times, and via either a UK or Irish freephone number, which is excellent. Just a note to say that they use a UK 808 number which is also absolutely free to call from mobiles in the UK too, so full marks for that. Opening an account and getting your GamblingInformation.com bonus spins is extremely easy and takes well under a minute. As a UK licensed casino you do need to validate your account at some point, and the excellent LeoVegas FAQ section tells you exactly what documents they can accept and how you should photoscan them. They state that they usually validate accounts within 72 hours and my experience shows this to be accurate. As long as you follow their clear instructions about acceptable documents then it’s no problem. In terms of deposits and withdrawals, LeoVegas accepts all the usual methods – debit and credit cards, bank transfer, Neteller, Skrill, Paypal, PaySafe and more. There is a minimum deposit and withdrawal amount of £10, and up to 3 withdrawals in any 30 day period are free of charge. More than this and they levy a £3 per withdrawal fee. This is a good idea as it doesn’t penalise the average punter, avoiding a charge being levied on everyone. At all times I found dealing with LeoVegas to be easy and trouble-free.